Every spring, PVKC offers a Health Clinic. 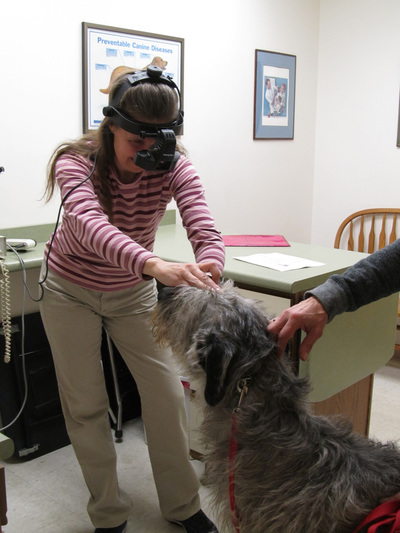 Held at North County Veterinary Clinic in Greenfield, MA – the clinic offers cardiac testing for OFA submission and CAER Eye Exams (previously the CERF) performed by Board Certified specialists. The Clinic also offers Thyroid Testing (via Michigan State Lab), CHIC DNA Banking (through CHIC for research purposes, not DNA parentage), and microchipping. New for 2019 -- we will also be offering BAER (Hearing) Testing for OFA submission. This is one-stop shopping for those who need cardiac, eye and thyroid certifications for breeding. 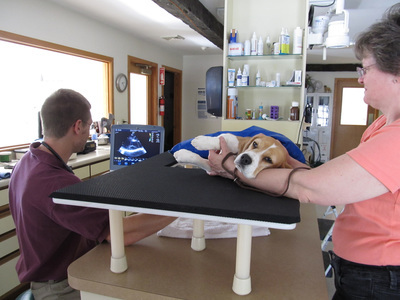 It is also a service to all dog owners for microchipping and for specialized testing for cardiac, eye, and thyroid health issues for any dog. Because we offer this testing in a “health clinic” setting, the cost of our offered testing is less than that available for testing done on an individual basis. It is also more convenient, as we bring the specialists to a single location. As an extra convenience, we have added a PayPal Option to your registration process. See the Details and Order Form for more information on this payment choice.